I can’t believe that our year traveling (well, 326 days) has officially come to an end. Researching our packing strategies and filling our backpacks seems like it was a couple of weeks ago. This has been an unbelievable journey. I really can’t believe the amount of ground, both literally and figuratively, that we covered. I love looking back at these pictures. While all of the memories are fresh in our heads we wanted to share some of our favorite pictures and stories from the trip. Originally I thought that we could get the number of pictures down to 25 – about 2 per month. That just doesn’t seem possible now. My first pass – over an hour of looking through pictures non stop – had me fill an album with almost 120 pictures. And I honestly kept thinking to myself that there are more stories and more good pictures to share. So now we will have 3 parts to this. Part 1 will be South America, part 2 will be Central America and USA and part 3 will be SE Asia. I also battled with how to organize the pictures. The though of ranking them was really appealing until we couldn’t decide between what are better pictures vs better stories vs the combo of a great picture and story. We landed on presenting the pictures in chronological order. 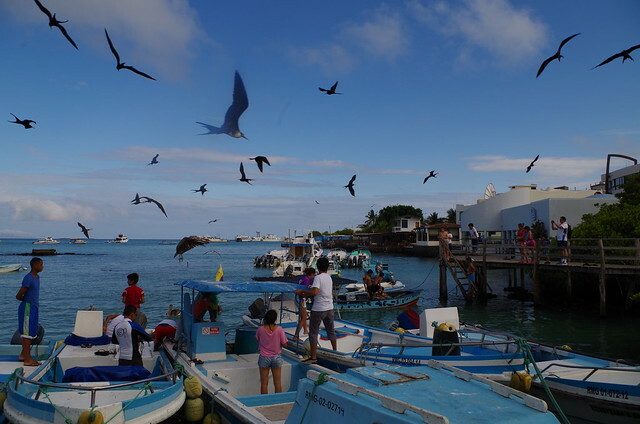 Our first stop of the trip was Santa Cruz in the Galapagos Islands. The town is small and in the middle is Pelican Bay. This is where the fishermen come to sell their days catch. Cleaning the fish attracts all kinds of attention including these gigantic frigate birds. Lindsay and I would come here just about every day for the first week and soak in the sights and sounds. it was a really nice way to get acclimated to the island life. 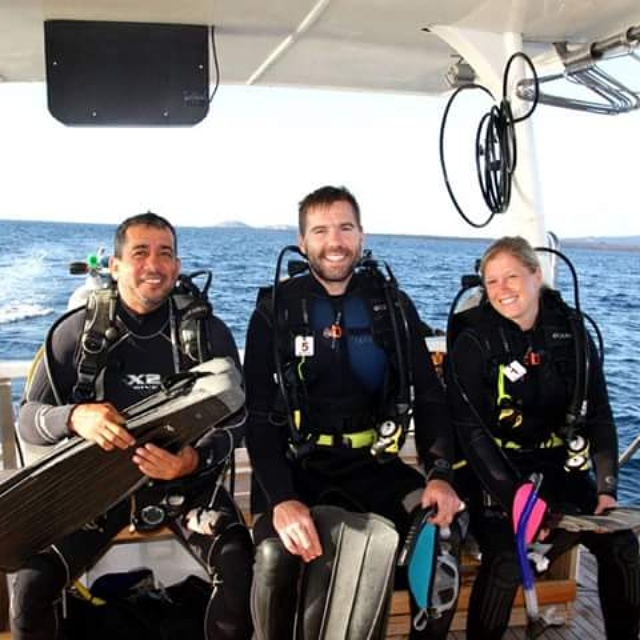 One of the things that we wanted to do was get scuba certified. 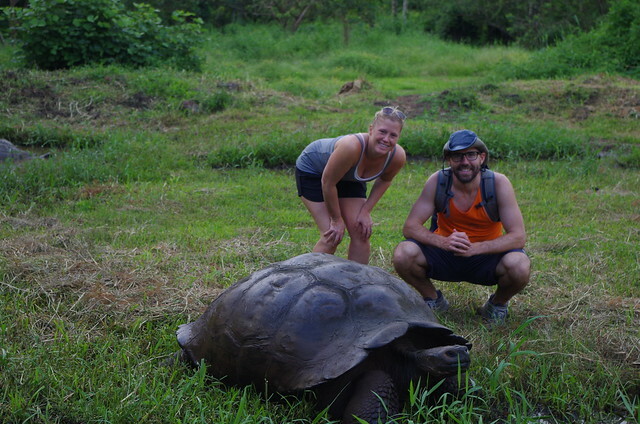 And what better place than the Galapagos islands? Maybe not one of our “coolest” pictures, but Lindsay and I are proud to have done it. Luck would have the dive shop we trained at was launching a new boat and we were it’s first customers. We went from 0 dives in the first 31 years of our lives to 24 dives 11 months later. It’s nice to have a new skill. 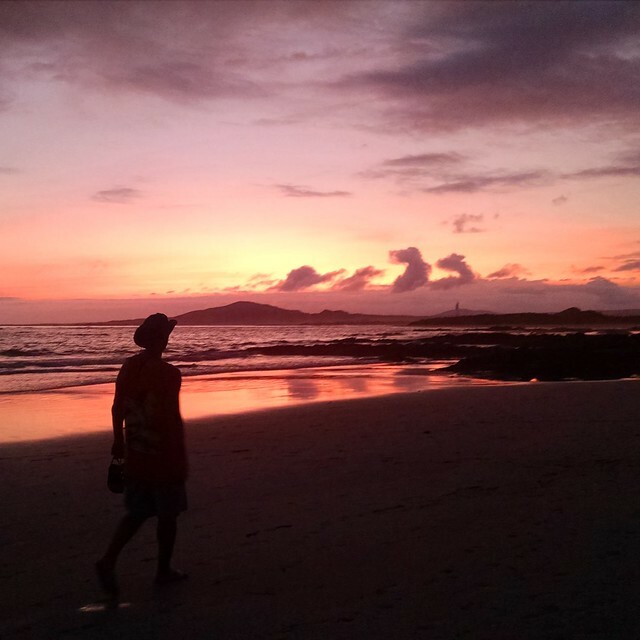 Our second stop in Galapagos was Isabella island and this was the sunset that greeted us on the first night. Tough to beat. While on Isabela island we were invited to a restaurant that was off the grid a little bit. Turned out to be an incredible meal. The restaurant is called Houser. The food was delicious and the folks running the place are even better. We were given a tour of their garden, welcome drinks and finally a multi-course meal. We had a lot of fun hanging out with owners 9-year old granddaughter and this picture reminds us of that awesome night. 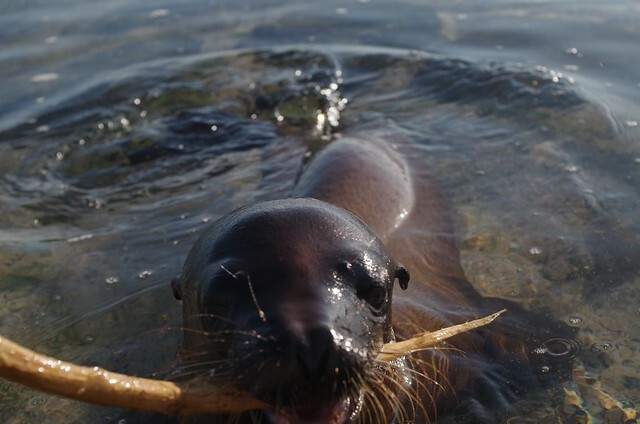 Our little friend we met at Los Loberias beach on San Cristobal, our third and final stop of the Galapagos. The beach we covered with sea lion pups. We spent the afternoon playing fetch with this guy. 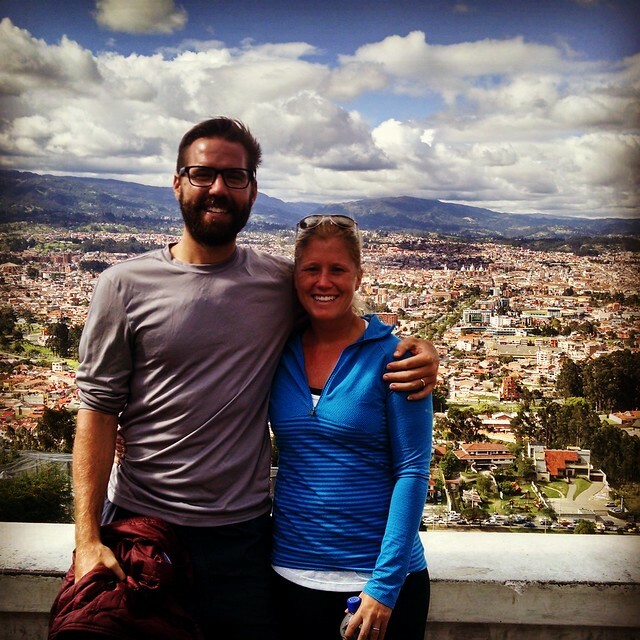 We spent over a week in Cuenca, Ecuador visiting Lindsay’s relatives. Cuenca was beautiful – and even more so after we had all the other cities in South America under our belt to compare it to. 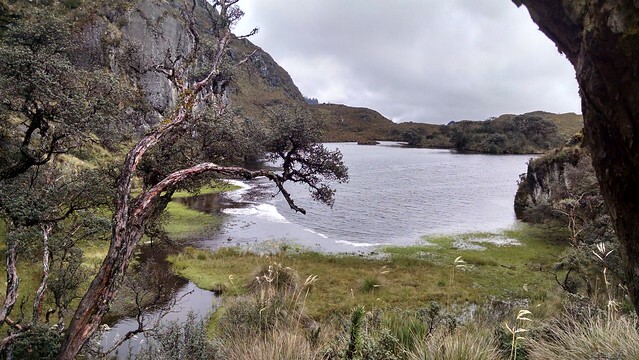 About an hours bus ride (for less than $1) outside of Cuenca is El Cajas (translation: The Boxes) National Park. 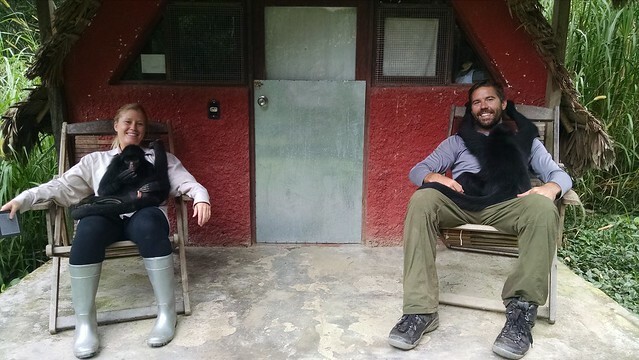 We were in Ecuador – it’s supposed to be warm so we dressed in shorts and shirts. Turns out when your high in the mountains it’s cold – really cold. Not out best planning but the landscape was beautiful. After a 2hr (very scary) horseback ride into the mountains outside of Vilcabamba, Ecuador we arrived at this destination. Our guide didn’t speak any English and we weren’t fluent in Spanish by any means so unfortunately I don’t know anything about this place (such as a name). Perito Moreno Glacier in El Calafate, Argentina – in what is more known as Patagonia. This was as far south as we made it on our trip (and as far south as we have even been). 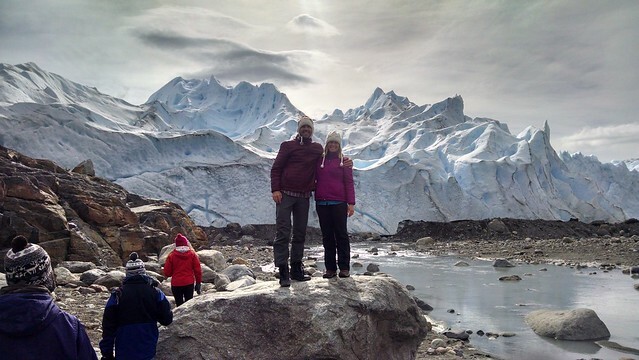 In less than 2 weeks we went from Galapagos Islands to walking on a glacier. 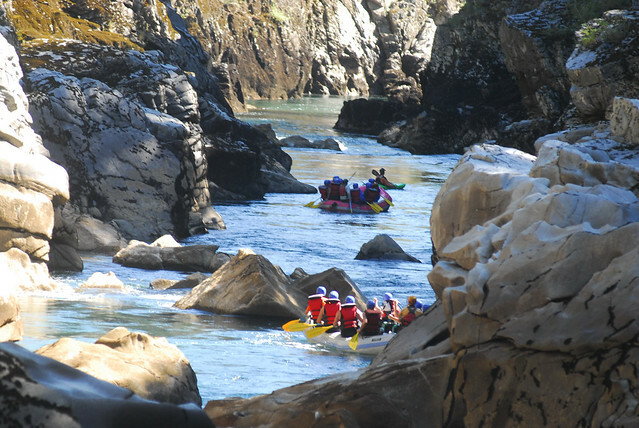 While in Bariloche we decided to give whitewater rafting a shot. This didn’t disappoint. The nature was just as impressive as the actual rafting. The water was crystal clear (I for some reason have always associated rivers with nasty water) and we would dip our hands into the water and drink it from the raft. 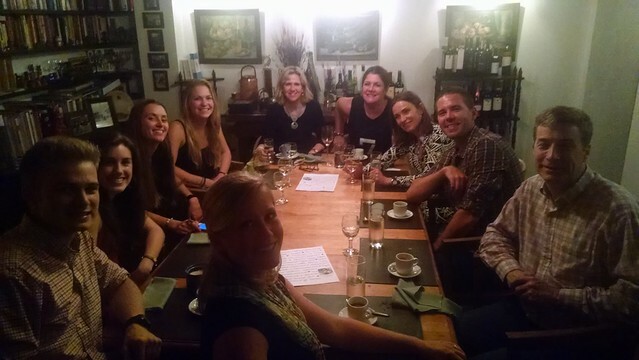 Met a really cool group from Argentina and had dinner with them a couple of weeks later while in Buenos Aires. 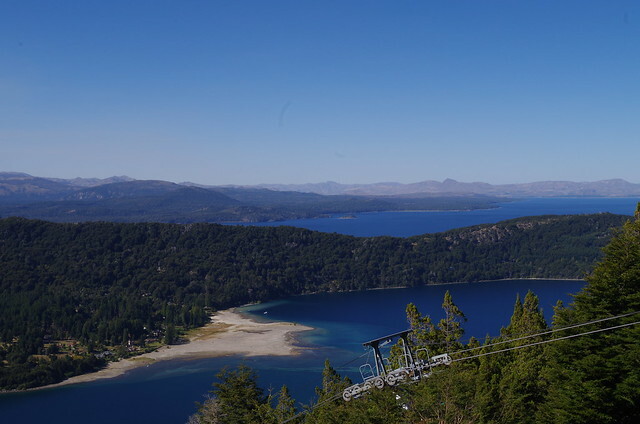 A beautiful view of the many lakes and mountains in Bariloche, Argentina. 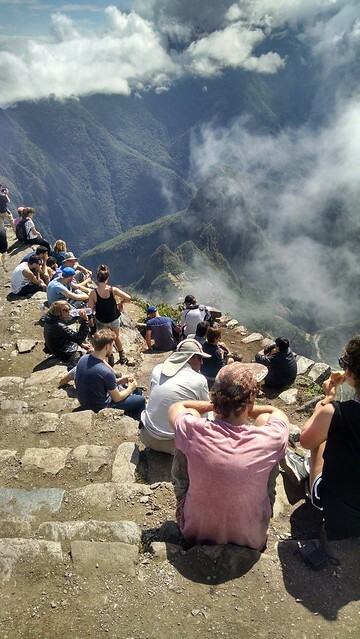 This photo was taken from the top of Cerro Campanario, 1400 meters up. Instead of taking the cable car line you see pictured to the right, we hiked it! 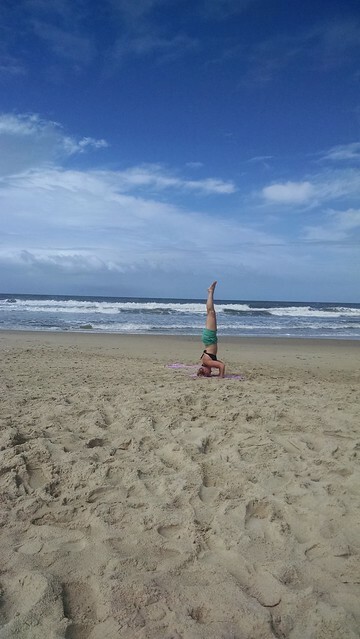 Lindsay getting her yoga on at the beach in Punta Del Diablo in Uruguay. One of my favorites. 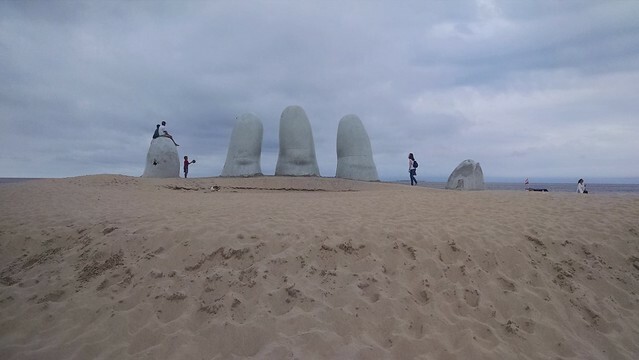 It was overcast in Punta Del Este so the picture isn’t spectacular but for some reason I love this hand coming out of the beach. We drove 3hrs into the Uruguayan countryside to visit a local estancia (farm). Little did we know that the majority of their patrons were kids under the age of 12. We still had a ton of fun and I milked my first cow. We visited 3 separate “underground” restaurants in Buenos Aires. This meal, at Casa Saltshaker, was probably my favorite meal of the entire trip. The food was awesome, the company was even better and they weren’t shy about giving you a good pour on the wine front either. 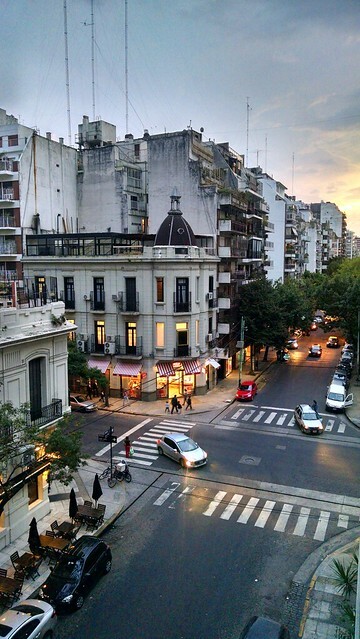 We went with an Airbnb apartment in the Palermo neighborhood in Buenos Aires and this was the picture as sunset from our balcony. 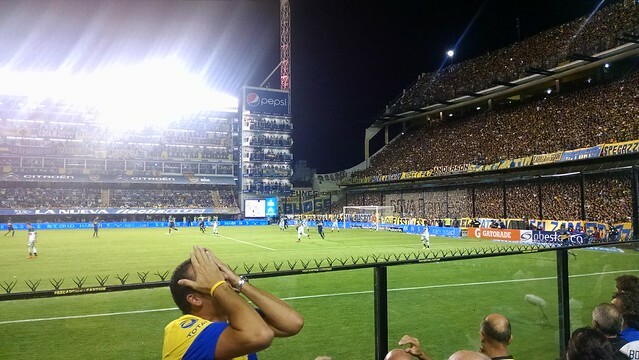 La Bomba is the name of the stadium where Boca Juniors – the local soccer team – plays their home games. The stadium was absolutely packed and the fans all crazy. No alcohol served in or near the stadium, so the fans are crazy and sober. This guy was sitting in front of us and couldn’t stand to watch his team miss from close range. The game ended 0-0 but was still unbelievably entertaining. 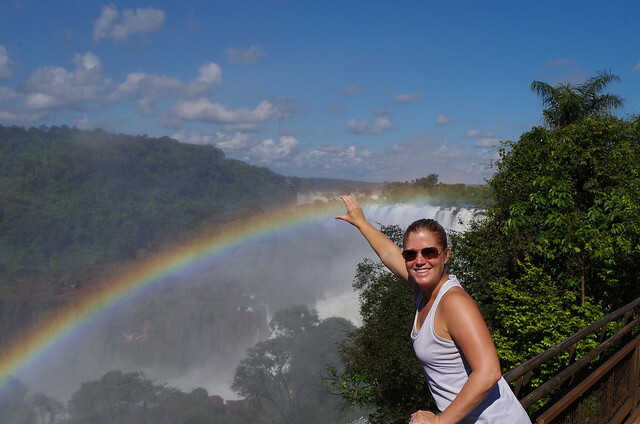 Lindsay reaching out and grabbing a rainbow at Iguazu Falls National Park – another highlight from our time in South America. 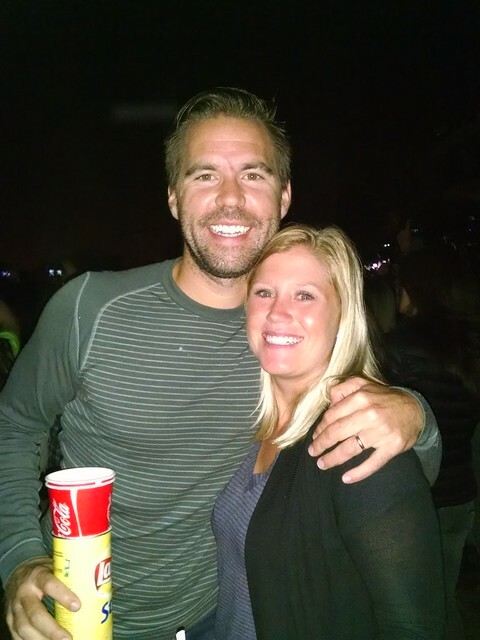 You can’t exactly tell from the picture, but we’re half in the bag at an Ed Sheeran concert in Santiago, Chile. This was one of the funnest nights we had doing something a little different than going to national parks or seeing the main tourist sites. We were the only foreigners in the place, about twice the age of the average concert-goer and knew only 1 song. But we now are Ed Sheeran fans. 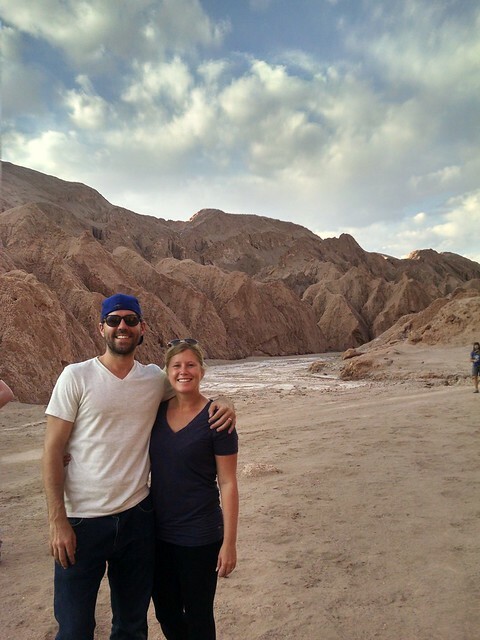 San Pedro de Atacama was our next stop in northern Chile. 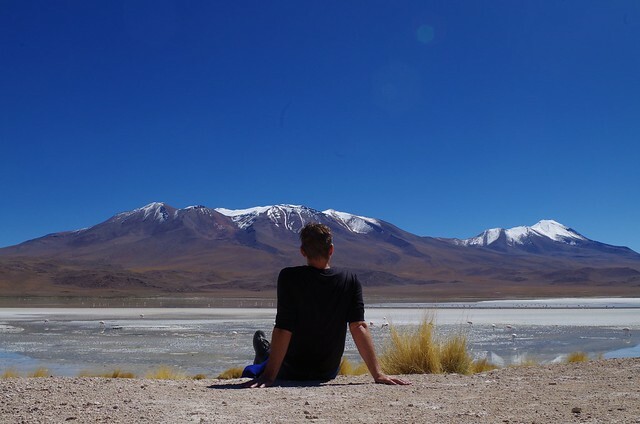 It’s most well known for it’s location as the launching pad to the Bolivian salt flats and for it’s place among the best spots in the world to watch the stars. However, don’t discount the Valle de Luna (Valley of the Moon) named because the landscape reminds people of being on the moon. You can find tons of images of the Bolivian Salts taking advantage of the lack of perspective. That is only part of the fun though. Three days of traveling through mountains and flat lands by Jeep and sometimes you think you have the entire world to yourself. 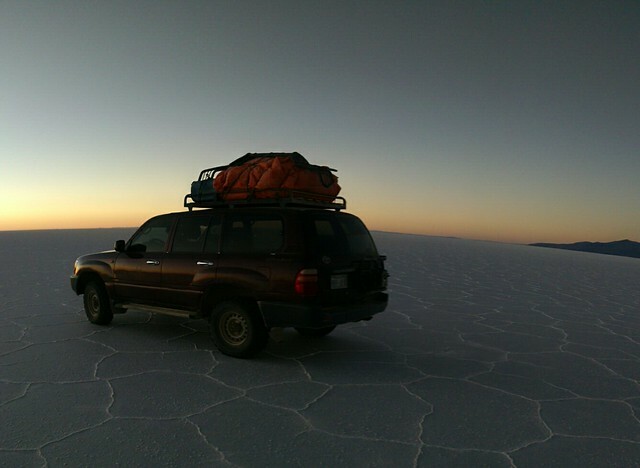 On the morning of the 3rd day we drove out to the middle of the salt flats at 2am to watch the sunrise. Perhaps thee single best thing we did on the trip (for me anyways) was our two-week volunteering stint at La Sende Verde animal sanctuary in the jungle of Bolivia outside of La Paz. Monkeys, birds, turtles and an awesome group of people. 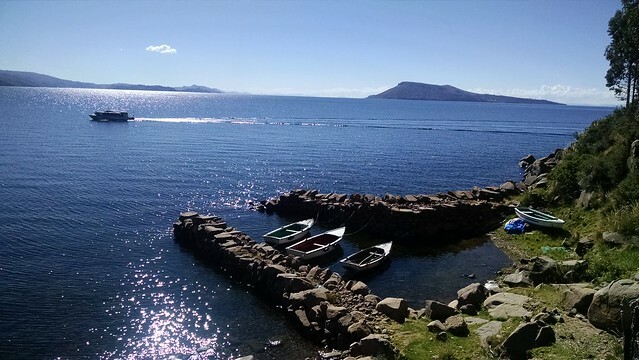 Looking out from Tequila Island on Lake Titicaca (Peru side). We took a day trip from Puno. 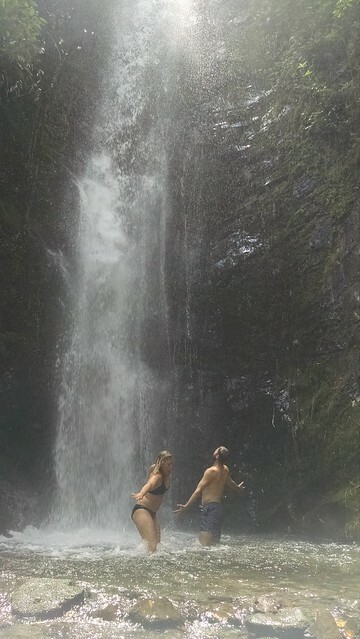 It’s tough to tell from this picture, but the water was COLD! There are a few different ways to get from Puno to Cusco. You can take a bus. You can take a plane. Or, you can take a 1920s-style fancy train for 10hrs thru some amazing back country in Peru. We opted for the latter. 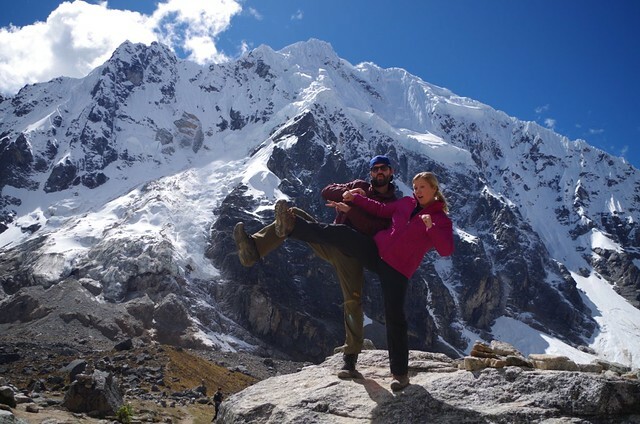 Lindsay and I covered 80km on a 4 night, 5 day hike thru the Salkantay Pass to Machu Picchu. Salkantay is in the background. Is this a good pic from MP? i like it because its different and the MP mountain was cool — but you can’t really see MP. What do you think? 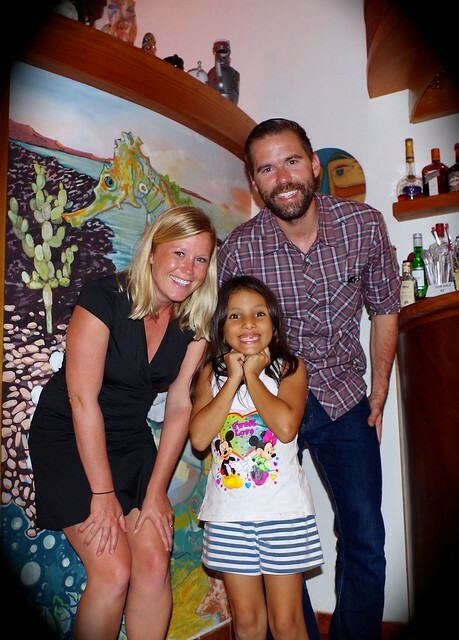 We had quite the dining experience in Lima visiting some of South America’s best restaurants. 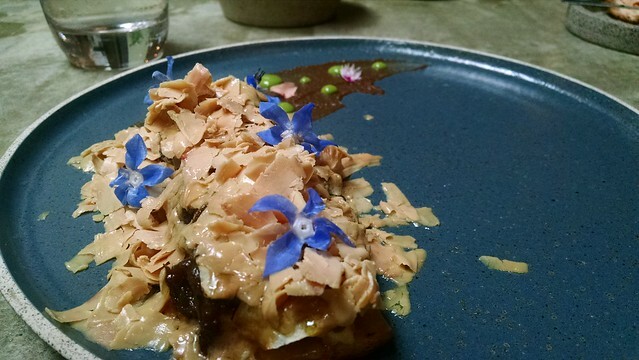 This is the foie gras served at Central and might have been the single best bite of food of the entire trip. So dang good looking and so dang delicious. What time is it? 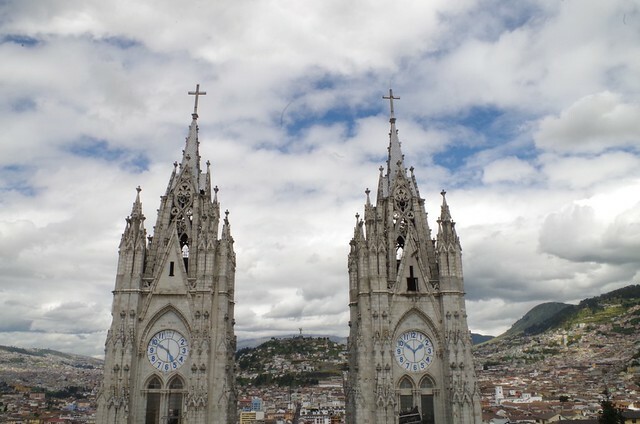 Who knows, but this was an impressive view of the amazing cathedrals in Quito and the sprawling city behind it. We spent 3 days in the jungle outside of Quito in Ecuador. 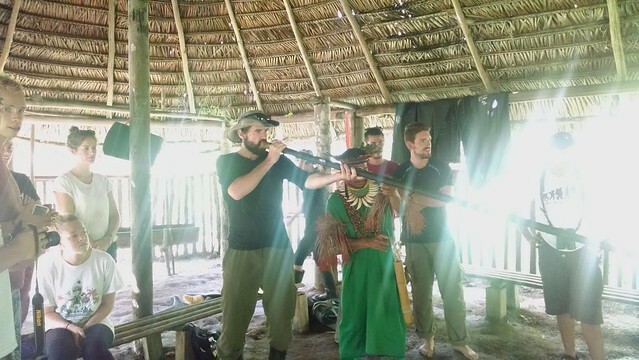 One of the highlights was spending time with the locals and practicing our blow gun accuracy. I’m a terrible shot so we’d likely go hungry if I was in charge. i was NOT a fan of Bogota, Colombia. That place is genuinely gross. 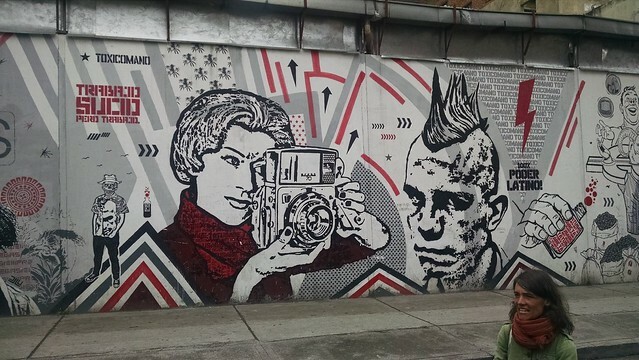 However, they have some incredible street artists there who thankfully are giving locals and tourists something to look at. 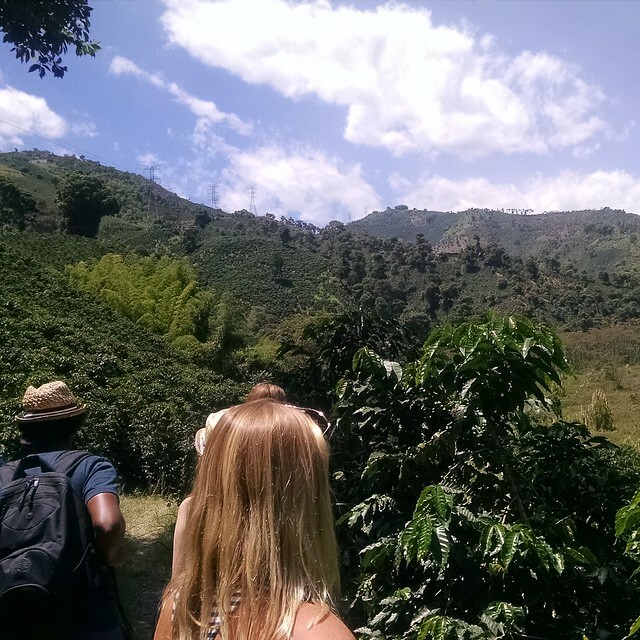 I’ve always been curious what makes Colombian coffee so special. One day/night in Manizales (coffee country) which is a 4hr bus ride from Medellin gave us all the information we needed to know. The plantation was beautiful. Lindsay’s parents met us for a week in Cartagena, Colombia. After a long night of drinking and hitting the local casino we were worn out and in need of a massage. The spa down the street hooked us up! 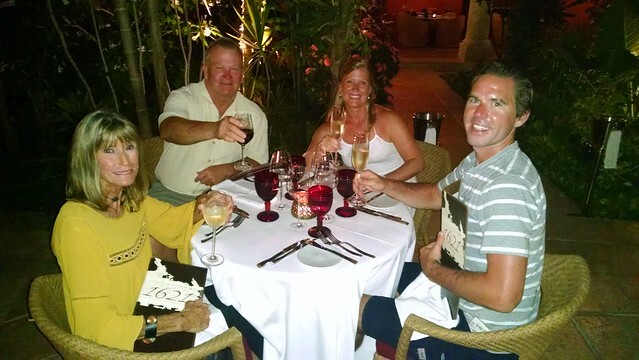 Cheers to an awesome week with my parents who came to visit us in Cartagena, Colombia. This was a tasty dinner we enjoyed at the Sofitel hotel within the walled city. Not cheap, but very good! We had a blast with them and a perfect way to end our travels through South America! Your pics are making me want to go back to South America and experience more!! 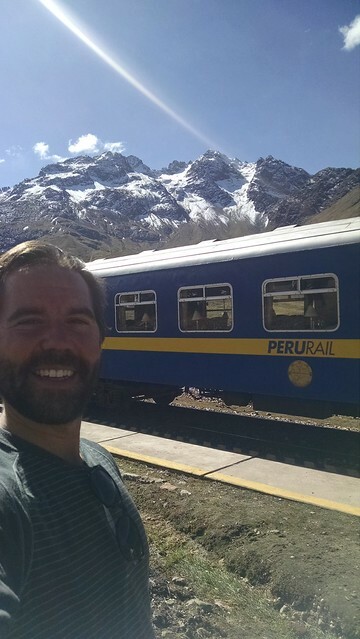 When in Peru I did the 10 hour train ride too- it was one of the best parts of the trip! I want to go back in a bad way. I had forgotten in some ways how awesome South America was. When I look buck at the pictures Quito is one of my favorite cities. And that train ride in Peru was the bomb diggity for sure. Definitely the best way to travel for that part. I’m *almost* as sad as you are that it’s over but what an incredible journey! !